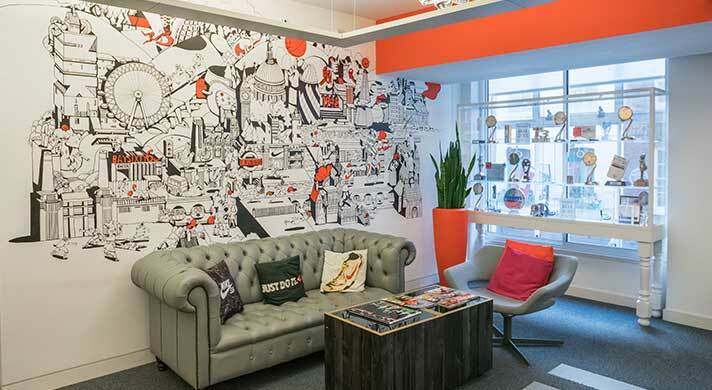 Nike, Inc.’s UK offices support operations across the UK & Ireland, with our main offices located in London and Doxford. 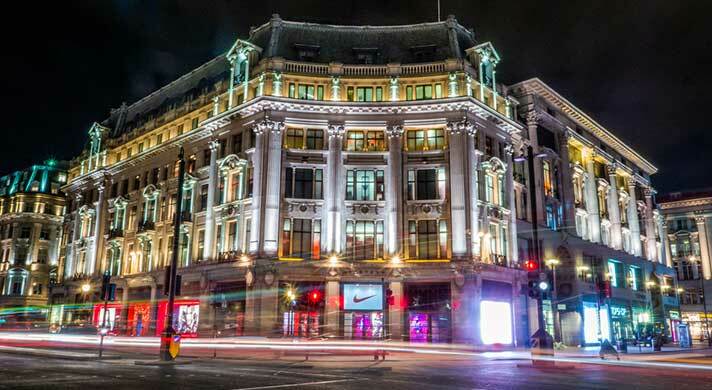 Nike’s London office is based in the heart of Soho, just a 5 minute walk from our UK Flagship store on Oxford Street. Its northern counterpart is based in Doxford, situated 11 miles from Durham and 5 miles from Sunderland. Both offices are dynamic, diverse and energizing environments that reflect the values and spirit of our brand. Nike UK is part of Nike’s EMEA geography, and departments include Marketing & Communications, Digital, Human Resources, Finance, Technology, Retail and Sales. On these pages, you can learn more about this location and its people, and if you’re up for the challenge of finding your greatness with Nike, check out what’s available and apply now. Nike UK & Ireland also has a large and growing retail presence, operating more than 50 retail stores across the whole of the UK & Ireland in locations such as London, Birmingham, Liverpool, Ashford, Leeds, Glasgow, Edinburgh, Cardiff and Dublin. Nike Retail employees inspire athletes of all abilities to tap into their potential and every employee brings inspiration and innovation to our business. It's up to Nike Retail employees to know exactly what the consumer expects, and then deliver far beyond it. Check out what’s available at our UK & Ireland stores and apply now. 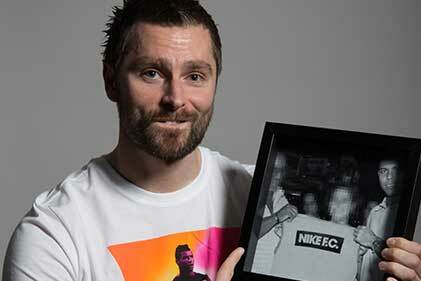 "Nike has always been my number one brand, for so many reasons, but the product first and foremost. I have always been a really big fan of the brand, the products and what they stand for - the sports heritage and innovation. As I progressed in my previous roles in buying, I witnessed a lot of change in what Nike was doing in the market, especially for women’s sportswear. It was really interesting and attractive to me. I love the fact that Nike is always on the offense. We do not take anything we have already built for granted. I love the way the company works as well. Since my first day here I have constantly been asked what I want to do next. That career progression aspect was the biggest thing missing from my previous roles. I love the fact that you don’t really know where you might be in a couple of years’ time. Nike does make you feel like the possibilities are endless. The best advice I have received at Nike is to make it known where you want to be in the future and how you want to get there. Everyone is really open to talking about where you can go in your career and what future options you may have. I think the culture makes people really approachable and senior leaders are really good at offering help. That is so great. People really give you the feeling that they want you to succeed. So take advantage and speak to as many people as possible, most people are really open and willing to help and share their experience and expertise. Don’t be afraid to ask questions. I am really glad that I made the decision to join Nike. London is an amazing place to be and working for Nike is pretty incredible." "I have done things within my roles at Nike that I would have paid money to do. I have been very lucky to see a lot of the world with Nike. It’s difficult to choose just one experience because I’ve had so many truly memorable moments at Nike, but the most I would have to say was when I got the opportunity to tour South Africa with Manchester United in 2006. Along with the first team squad we toured South Africa and got the opportunity to meet Nelson Mandela, which was absolutely incredible. The main thing that is such a huge positive for me about working at Nike is the people you get to work with. Above anything the culture of the company continues to be terrific. 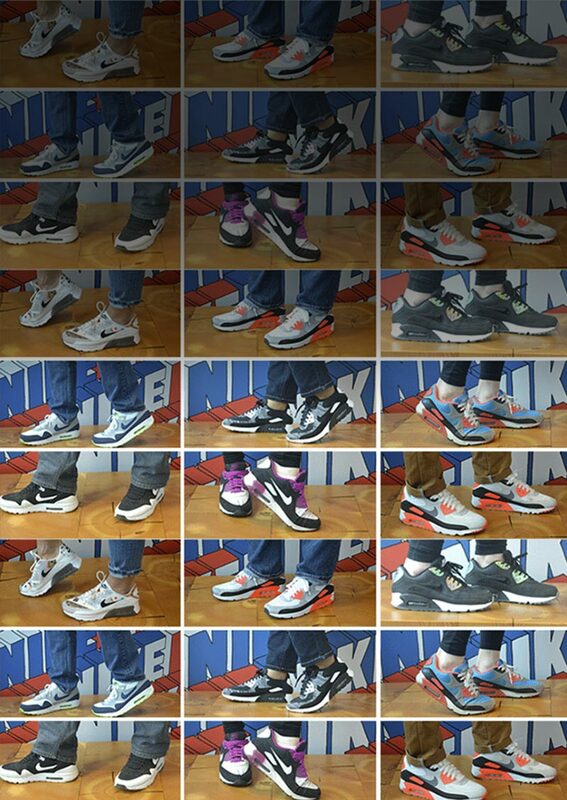 People enjoy working at Nike. You are constantly working with bright new talent. I am based in the Doxford office in the North East of England which has a great community spirit. Everyone gets involved; everybody works with each other, throws themselves in 100% and has fun. It’s a really pleasant, fun place to come to work. Nike's culture is a culture of change. It’s so fast paced and that pace in which we work seems to increase year on year, but it also has a relaxed feel to things. For new people coming into the business, the opportunities are endless. I think there are more opportunities now than there have ever been; opportunity for your career, opportunity to travel, and opportunity to be involved with sports day in day out. I get a real kick out of seeing people progress through the company that I have had an impact on; people that I have hired, managed, or helped along their journey. That is by far and away for me the proudest thing I take away from my career. If you are looking to join Nike, I would advise you to just be yourself. The company appreciates people being themselves and people can really be comfortable in their own skin. And stay grounded. We have people here that have progressed through the company and are still the same grounded people they were when they started. So be yourself, stay grounded, and also ask plenty of questions. We work for a company where people do not say no to colleagues looking for advice and help. So don’t be frightened to reach out and ask. We do not work in a culture of closed doors and having to book appointments all the time. Our General Manager is also a really good example of that." I love working for a company that is always on the offense. Nike stands for innovation; and it’s not just innovation from a product perspective but innovation in the way we talk to consumers, the way we bring product and experiences to life while listening to the voice of the athlete. 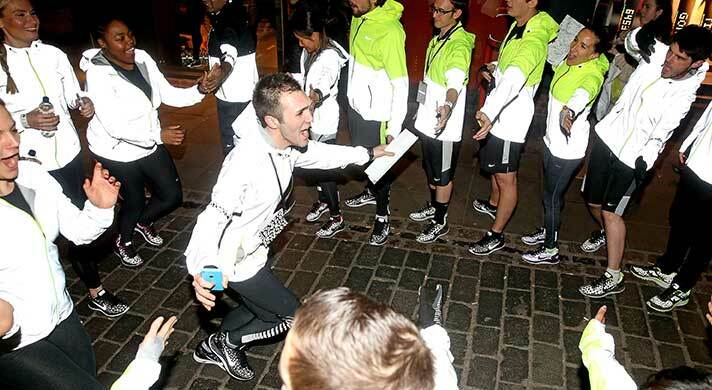 My current role is General manager of the Running category for Nike UK/Ireland. My responsibility is to better connect with our London Running community to extend our consumer reach and grow the Running category. To be given the opportunity to manage a large and diverse cross-functional team has been an exciting learning curve and the tremendous support I’ve had from my colleagues has helped me learn the ropes. My main goal is to make Nike Running the biggest and best Running brand in the UK/Ireland, and I know if I do that, I’ll be able to make a great next step! Besides my business goals, I’m passionate about mentoring young talent in our organization and ensuring they know what paths are available to them and how they can get there. I feel they can learn a lot from me, and likewise, I’m learning from them each and every day. Nike is also great in supporting women in sales. 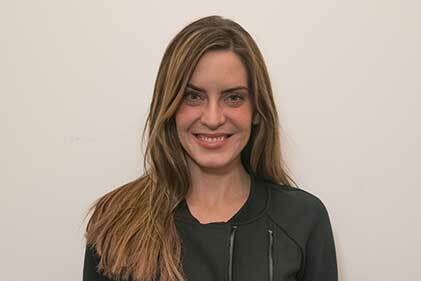 Across our biggest accounts and categories, we have very capable and inspiring female sales leaders. In fact, there’s a whole team of people working to promote women's’ advancement in the sales organisation. The most important thing is that we support each other in this goal. If I would give an advice to other women in sales within Nike I would say “be a sponge”. Don’t be too hard on yourself in the beginning; it takes a bit of time to learn. Talk to as many people as you can, get yourself a good mentor and really focus on learning the business and identifying what you can bring to the business. You should always make sure you are informing people of that value, as it’s a big part of the way people see you and how you will make your mark. My favorite project while working with Nike must be The Olympics. It’s the kind of project that you might only work on once in a lifetime. If I could do something like it again it would be fantastic. I felt so proud during the Olympics; you walked down Oxford Street and every window, everywhere you turned, it was Nike innovation. "I’m currently working as Nike’s Brand Event Manager, which means I oversee all physical consumer events and experiences for Nike in the UK. My role is to work with each category to help shape and execute each and every consumer experience. The role is a fantastic mix of working with internal stakeholders and with external agencies and partners to turn event concepts into a reality. Prior to this, I was a Football Brand Manager, where I got to use the power and platform of Nike Football to provide life changing and memorable consumer experiences for Nike football fans. This was mainly through our Nike Academy. Working as part of the Academy will live with me forever because it was so emotional and so real. It's real people, real lives, driving for a chance to become professional footballers and you honestly see the life changing impact it has on players and their families. It is so humbling and moving to see the impact. Before I joined Nike I had a series of roles within the sporting industry but I had only really considered working for Nike as a dream situation - I never thought it would be attainable. But it is achievable. Nike is seen as the number one brand in sport and I’m someone who has always worked in sport, always been interested in sport and I genuinely feel privileged to work for Nike. 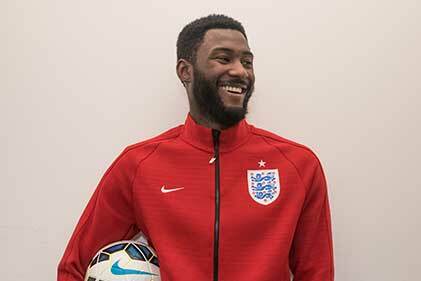 While working at Nike I’ve been involved in all elements of the football arena and one in particular that I will always be proud of has to be our campaign in the lead up to the world cup. It was the most intense 24/7 environment I have ever been involved in and coming out the other side the team had achieved something amazing and just had such an unbreakable bond as we really all had to rally together. The thing I really love about working for Nike is seeing the impact that Nike has on other people. That gives me a thrill. Every time I see someone participating in something we have done and it changes either their day or their week or their month or their life. Seeing the impact we have is so genuine and so real. I also love the work attitude of Nike. I feel that every day I am expected to achieve something and every day I go home and feel like almost I haven’t done enough, as there is so much more I want to do. The attitude here is great; everyone wants to get stuff done. Even though sometimes it can be very busy, I wouldn’t swap that for anything. I feel I am worth something here. My advice to anyone interested in a role at Nike would be to have the right attitude at all times. I think how you come across and how you are perceived has a real impact on your future progression. You need to be able to adapt to the ever changing environment of Nike. There is so much going on and everything seems important. Every day, think about what the most important thing is for you to achieve, and block out the other noise, and go home having achieved that most important thing each day." Your particular benefits package will depend on your position and location. Here's a look at some of the benefits available for employees who work at Nike’s corporate offices in the UK. Nike believes the whole team should share the company’s success. Aside from a market competitive base pay, the concept is simple: if Nike has a great year of financial results; employees get a share of the profits through the Performance Sharing Plan. Each year, Nike establishes a threshold and achievement scale for performance — the higher the results, the higher the rewards for Nike employees around the world. Another financial benefit is Nike’s contributions to retirement accounts. Nike partners with employees to save by providing a monthly contribution into their personal retirement savings accounts. A generous vacation package gives Nike UK employees 25 paid vacation days per calendar year. 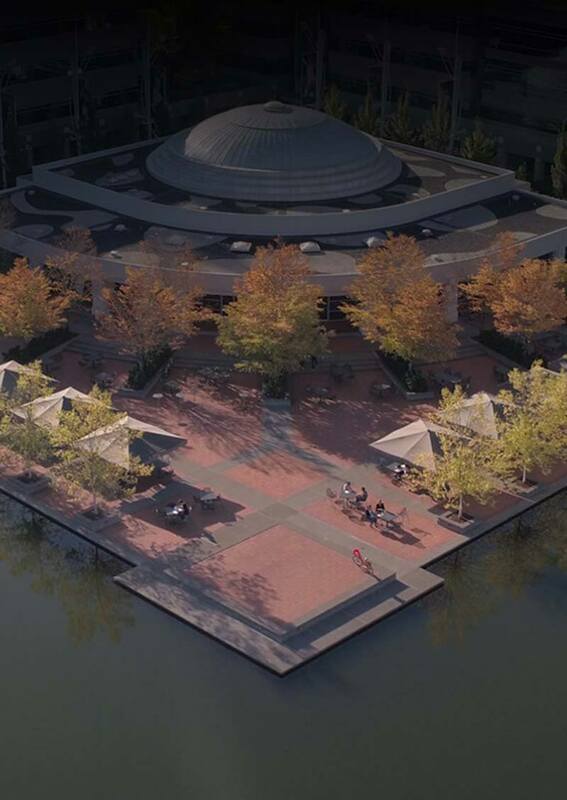 In addition, employees enjoy Nike’s summer hours schedule, which helps employees spend their summer Friday afternoons with family and friends. Other initiatives strengthen Nike UK’s wellness culture, from access to physiotherapists and sport masseurs to ergonomic, adjustable workstations. Nike exists to bring innovation and inspiration to all athletes – including employees. 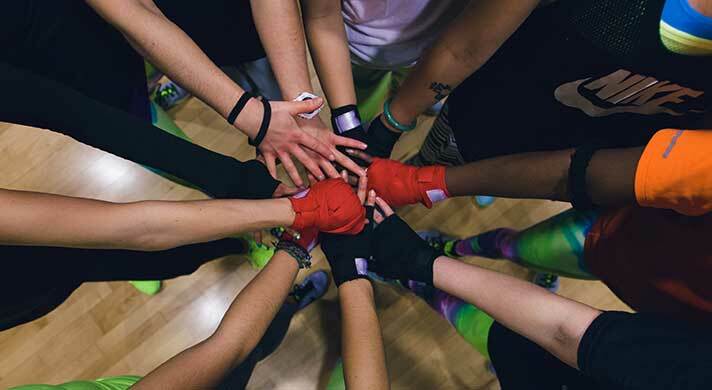 Sport is in Nike’s DNA, and its energy invigorates all Nike UK locations. Nike UK offers free entry to various fitness classes and activities such as Spinning, Yoga, Football, Running Clubs and Nike Training Clubs. Gearing up for workouts is also easy with a generous employee discount. 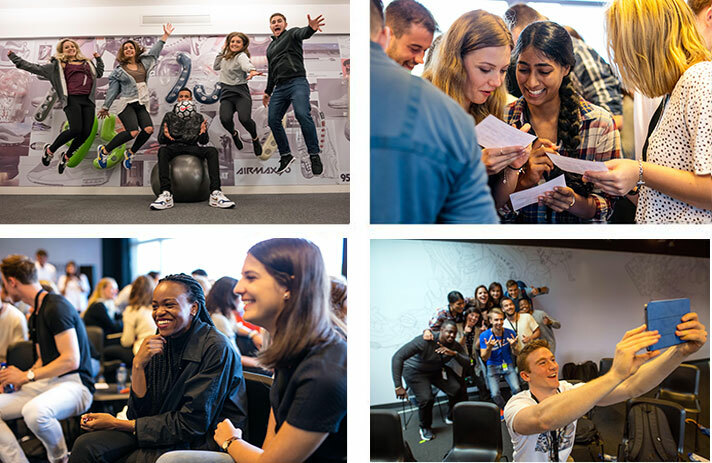 In Nike’s paid internship program across the London and Doxford offices, undergraduate students get a full immersion into the brand’s culture of curiosity and innovation. 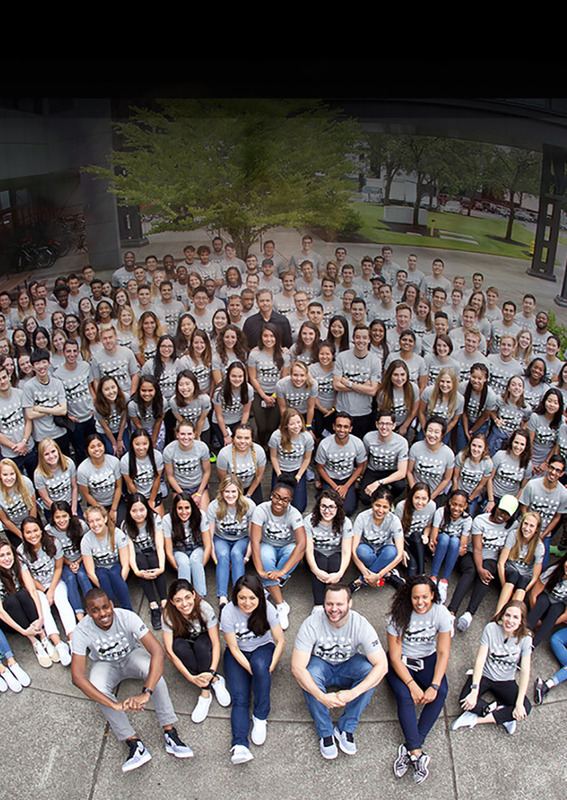 Interns interact with top company leaders, tackle complex business challenges, and build relationships and skills that endure far beyond their internship. They work within teams such as Sales, Marketing, HR, Finance, Supply Chain and many more. The Nike, Inc. internship program in the UK is open to students currently enrolled in a higher education institution (i.e., university or equivalent) as part of their Industry placement year. The applicant’s student status must be valid for the whole duration of the 12 month internship. The internship program is a full-time job experience (36.25 hours per week) commencing in July/August. In which disciplines does Nike offer internships at the UK Headquarters? Nike UK’s internships are 12 months long. Nike UK interns start their placement at Nike July/August of each year. The initial application and intake commences January of each year prior. Yes. All Nike UK interns are paid a competitive salary. Nike UK will post internship opportunities on this career site in December and January for an August start date. Each application will be reviewed against the requirements of the position and, if an applicant’s background meets the requirements, he or she will be invited to an online or telephone interview. The next step would be an invitation to a group assessment day including an individual interview with the hiring manager, and then Nike UK will extend an offer to the strongest candidate for the internship. The internship hiring process takes approximately two to three months from the first contact with a recruiter until an intern is hired. Does Nike UK accept international students? Yes. European Union students at a university outside of the UK can apply to all posted internships that state “relocation offered”. Yes. 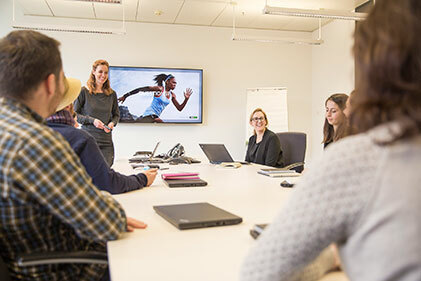 The majority of the company’s European internship opportunities are located at its European Headquarters in the Netherlands. Some of its other European offices also offer internships. Applicants can search for internship opportunities by country on Nike’s career site to find other internship opportunities in France, Italy, Russia, Spain and Turkey. 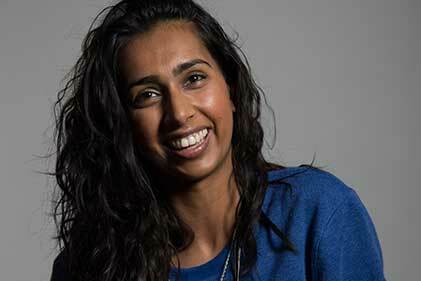 "I joined Nike’s Internship scheme in 2013. I was in my second year at university, studying Economics. I made a list of dream companies to work for and Nike was at the top. Nike had 10 different internships in the UK; in London and Doxford, and I saw a Business Planning internship that most closely aligned to what I wanted to do so I applied. 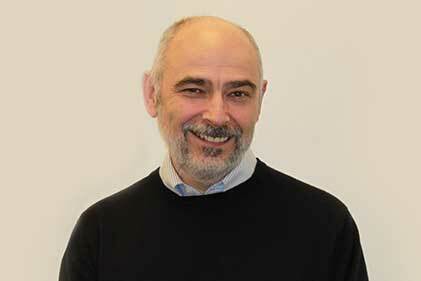 I was the first Business Planning intern, because Business Planning was in its formation as a function within Nike, so I did 4 months in the Doxford office and the rest of the year in the London office. I was given a big account to look after and I was tasked with the data analysis of store data, to help maximize commercial sales each week. I was doing weekly analysis and reports for the management team and I presented to our senior leadership team, which was great exposure for me. I felt like an equal to everyone in the room and, even though it was a very senior audience, I was valued. I loved being at Nike and being part of the team. Throughout my internship year my manager was fantastic in really pushing me to think about what I wanted to do in the future and helping me contact people in those functions to learn more. Then during my last year of University I was in contact with people in Nike to get an understanding of what opportunities might be available and how I would go about gaining a full time role in the company. My managers constantly kept in contact and were real advocates for me internally. This lead to a few interviews for positions and I ended up being lucky enough to secure my Account Executive role for the running specialty group. Within Nike, it’s a culture of sport and being competitive. That is the heritage of Nike. It runs through everything we do and it really resonates with who I am as a person and what my passions are. The working environment is very free and very collaborative. You are really encouraged to work as a team and communicate a lot. You get a lot of autonomy and are really unrestricted. I am quite forward looking, so I love the breadth Nike has in terms of opportunities, locations and career development. If you perform well, you can move abroad, or even change career. That is especially exciting for an intern. The opportunities are endless. I really appreciate the investment Nike made in me as an intern. I travelled a lot, I had access to lots of training and I got great exposure to senior stakeholders. They really proved how much they valued me and how much they wanted to get out of me. I think that is really unique. You are valued as a true member of the team and you are never overlooked. It’s amazing. My advice to anyone new to Nike is that relationships are key at Nike, so get to know people. And secondly, have a point of view and ask questions. Always add to the conversation. Push yourself to think more deeply about what people are saying. Don’t just receive information but really interpret it and take the next step. We are here to push each other and you need to be able to manage the responsibility and be proactive. It’s a challenge but a very good challenge. I would also advise interns to apply for a role that they are really passionate about. Go where your heart is, because that is where you will make the most impact. That is one of the most important things at Nike and it really becomes contagious." 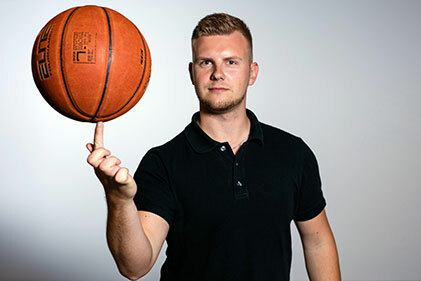 I was in my second year at university doing Marketing and Management and as soon as I saw the role at Nike I knew straight away it was something I wanted to apply for. I have always grown up playing sport competitively. 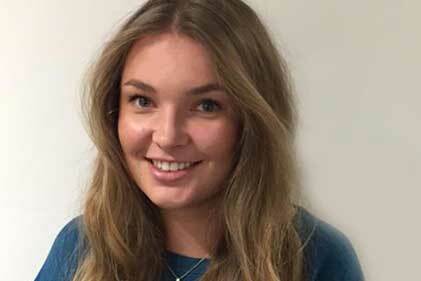 Keeping fit is a really big part of my life so I wanted to work for a company who would combine my passion for fitness as well as what I had already learnt from my business degree. I currently work as part of the Digital Sales Team in Doxford. I personally look after the Young Athletes category and focus on the growth of this area. I’ve been pleasantly surprised with my role here - I genuinely do not feel like the intern. It’s a real role in the team, which is expected to deliver real results like everyone else. I deal with the real business and real figures. I’ve had loads of support and training and my manager is always there, giving me advice and help when needed. We have a really tight knit team, which is amazing. People in the team come from really varied backgrounds, so I have learnt so much about the business through them as well. I really didn’t think I would get such wide business exposure, with such hands on and commercial experience - it’s been brilliant. The best thing about working for Nike has to be the culture. Everyone you work with has a mutual interest in sport and you get to see and work with products that are truly innovative. In my Sales role it really helps that I am working with products that I genuinely love and have a passion for. Everyone is focused on the job but it is a really friendly and relaxed atmosphere. People are willing to let you be as creative as you want. Anyone who comes up with an idea has the opportunity to put it forward. My advice to future interns would be to make sure you learn Nike’s history and heritage for the interview stage and show your passion for the company. Once you get the role, make sure you use the people around you to learn as much as possible. Be a sponge and network. There is so much experience around you and everyone is willing to help. Nike puts such emphasis on career development for everyone. The amount of responsibility I have been given has been amazing and my internship has been an invaluable experience, one I would absolutely recommend to anyone. You are not just treated as an intern, you get real responsibilities and great opportunities. I would love to comeback to Nike after I graduate.